Culture shock? Language barriers? Safety concerns? These are all very real fears expressed by students considering an international exchange program. Even if you’ve studied a language, it can be daunting to imagine yourself immersed in it. Yet exchange student Sam Guyer would say that’s exactly why you should go. 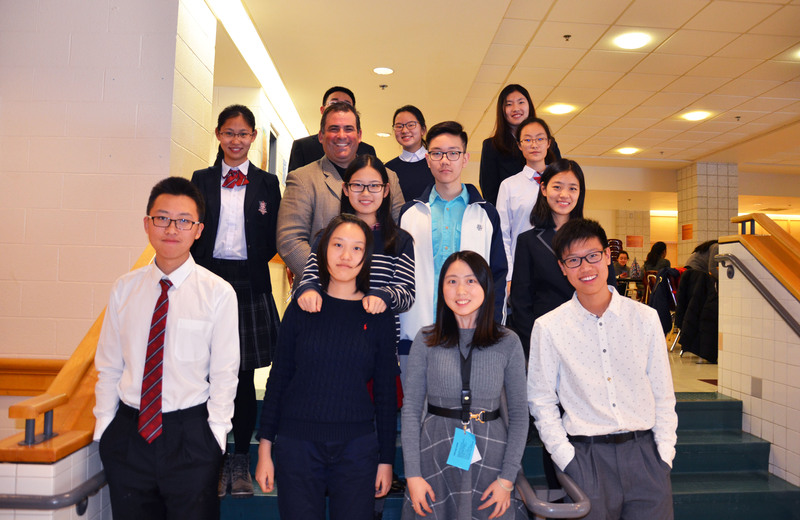 “Being surrounded by the Chinese language created an environment that was so beneficial to me,” he says. “I felt like I was continually learning and improving.” According to Sam, he was most looking forward to getting out of his comfort zone and discovering new things about himself. But like any exchange student, he had some pre-travel worries of his own. 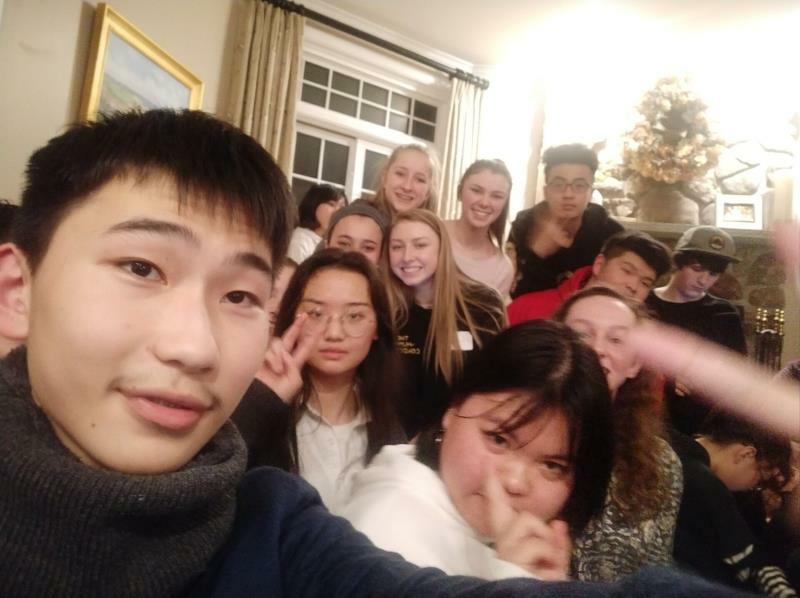 Students on our SMS Wuhan campus recently returned to China following their one-week youth exchange at Windham High School in Windham, NH. While many took photos and videos to record their exciting experiences, some wrote thought-provoking journal entries. For Vincent Zhu, the act of writing down his thoughts became an opportunity not only to remember his journey but to reflect on his values and viewpoints. Ten more hours of flight. To adjust to the jet leg, some students won’t open their eyes until we have arrived in the US. But I have had a sleepless night. Is it because I miss my home country, or am I so excited to explore another country? I think it is both. 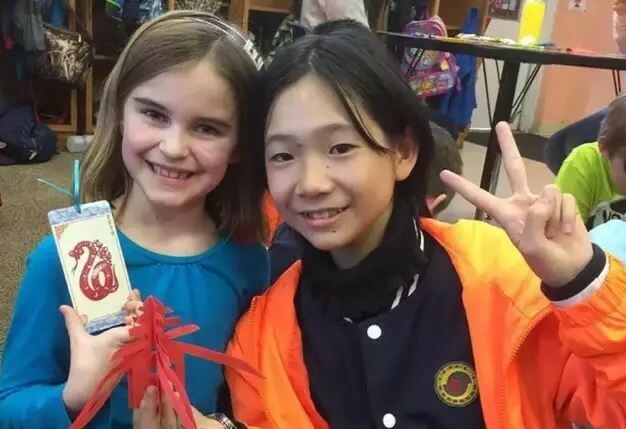 Recognizing the invaluable diversity and perspective that international exchange students bring to classrooms, K-12 schools around the US are expanding their global initiatives. New Garden Friends School (NGFS) in Greensboro, NC is no exception. 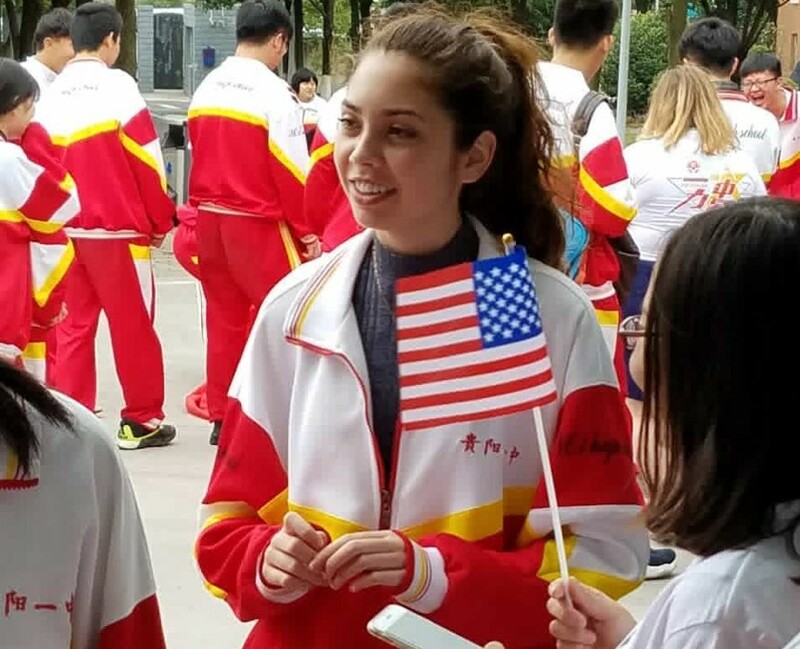 Meet Madeline, a 10th grade American student studying on our Guiyang campus. 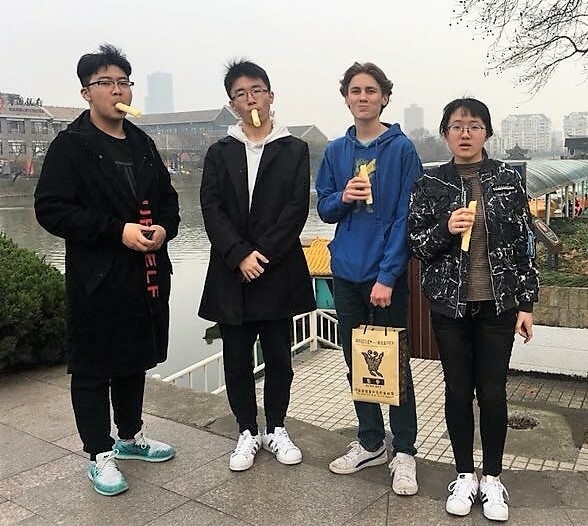 She bravely traveled to Guiyang to experience education in a vastly different academic environment and has since grown into a rather unique role there.